Albedo One, issue 31, featuring all top six shortlisted stories from the Aeon Award short fiction contest 2004-2005. 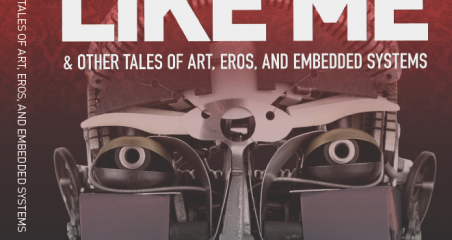 The International Aeon Award Short Fiction Contest is a high-profile short story writing competition that aims to promote writers and writing in all the speculative fiction genres, including science fiction, fantasy and horror. 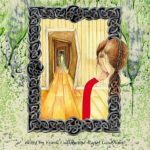 The writing contest also aims to promote short fiction that crosses between the genres of speculative fiction or is otherwise difficult to classify. There is no restriction to entry by nationality or location. 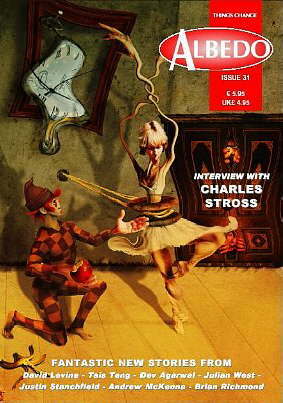 The Aeon Award fiction contest attempts to achieve the above aims by providing short fiction writers with the opportunity to win three substantial cash prizes (of €1000, €200, and €100) as well as guaranteed publication in Albedo One, a long-running and respected short fiction print and electronic magazine. 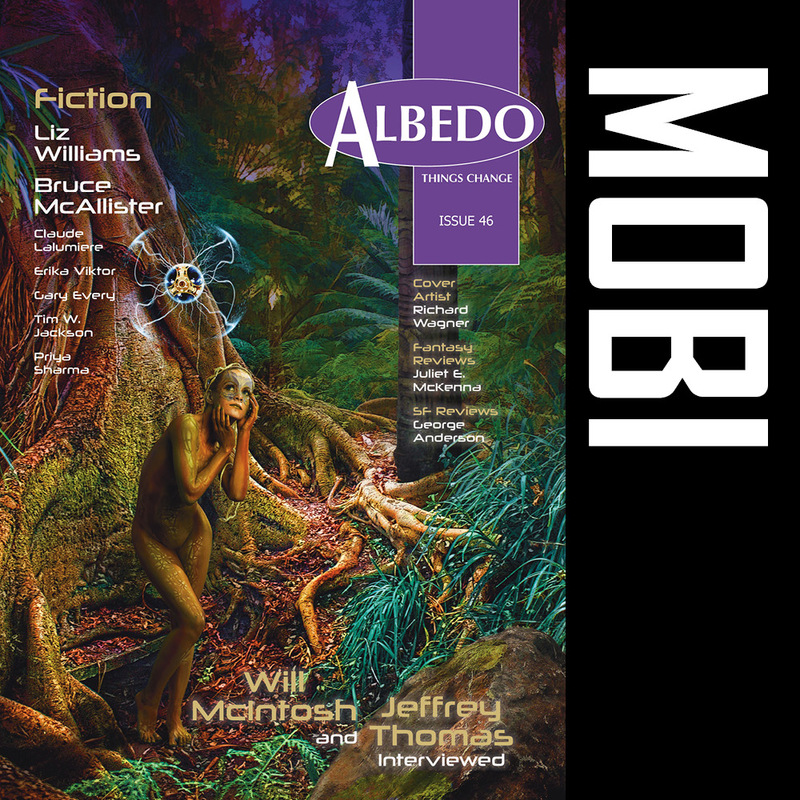 Albedo One is the premiere magazine of fantasy, horror and science fiction published in Ireland, and is the winner of three European Science Fiction Society Awards including Best Magazine (1997) and Best Publisher (1999). 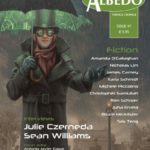 For more information on Albedo One, see our listing in the prestigious online Encyclopedia of Science Fiction. 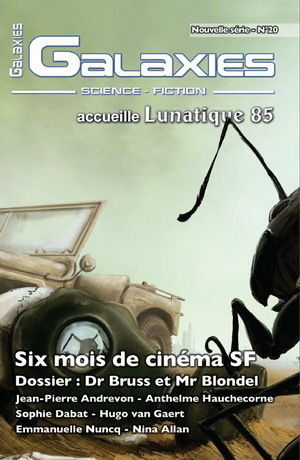 Galaxies SF, (issue 6, new series), featuring the winning story of the Aeon Award 2004-2005 in translation to French. Entering the Aeon Award short fiction contest means that your work will have the chance of being read by our multiple award-winning panel of Grand Judges. The panel is led by permanent Grand Judge, renowned SF author Ian Watson, and includes (or has included in previous years), Nebula and multiple Hugo-winning author Mike Resnick, Nebula and Hugo-winning SF author Anne McCaffrey, Nebula-winning author Eileen Gunn, New York Times bestselling author Todd J. McCaffrey, respected Irish SF author Michael Carroll, and revered Irish crime and horror author Sam Millar. More details on the Grand Judges of the Aeon Award competition, and which judges are in residence each year, can be found on the Aeon Award Contest Grand Judges page. 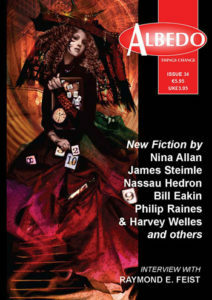 Stories shortlisted for the Aeon Award contest have gained widespread attention, being awarded coveted Honourable Mentions or being reprinted in prestigious Year’s Best anthologies by top editors in the genres of science fiction, fantasy and horror, such as Ellen Datlow, Rich Horton, Kelly Link and Gavin Grant, and Gardner Dozois. 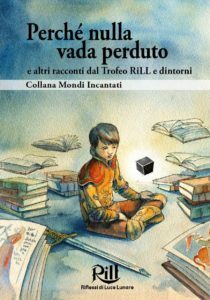 Shortlisted stories have also been honoured by receiving expert translation from English and re-publication in highly respected genre magazines and anthologies such as Galaxies SF (in France) and Phase X (in Germany). The International Aeon Award short fiction contest is a unique opportunity to get your name and your writing significant recognition, as well as helping to show that speculative fiction in all its guises is a thriving, valid and essential means of exploring what it means to be human in a world that is changing at an ever greater pace. For further details of venues that winners and shortlisted stories from the Aeon Award contest have previously appeared in, browse through the images below. 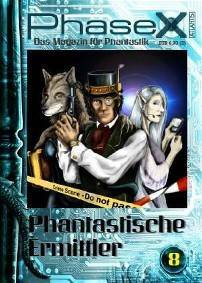 Phase X (issue 8), featuring the winning story of the Aeon Award 2006-2007 in translation to German. 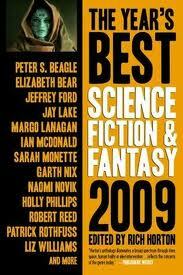 The Year’s Best Science Fiction & Fantasy 2009, edited by Rich Horton, with the Aeon Award 2006-2007 winning story, “Angelus” by Nina Allan, placed in 2008’s Recommended Reading list. 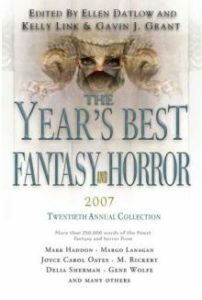 The Year’s Best Fantasy & Horror 2007, edited by Ellen Datlow, Kelly Link and Gavin Grant, with three stories from the Aeon Award 2004-2005 awarded Honourable Mentions. 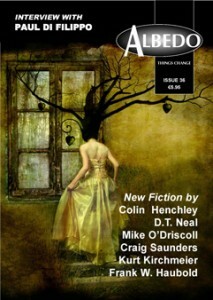 Albedo One, issue 36, featuring the winning story of the Aeon Award 2008. The Year’s Best Science Fiction 2007, edited by Gardner Dozois, with Aeon Award 2004-2005 shortlisted story “I Hold My Father’s Paws” by David Levine (first published in Albedo One issue 31) chosen for reprinting. 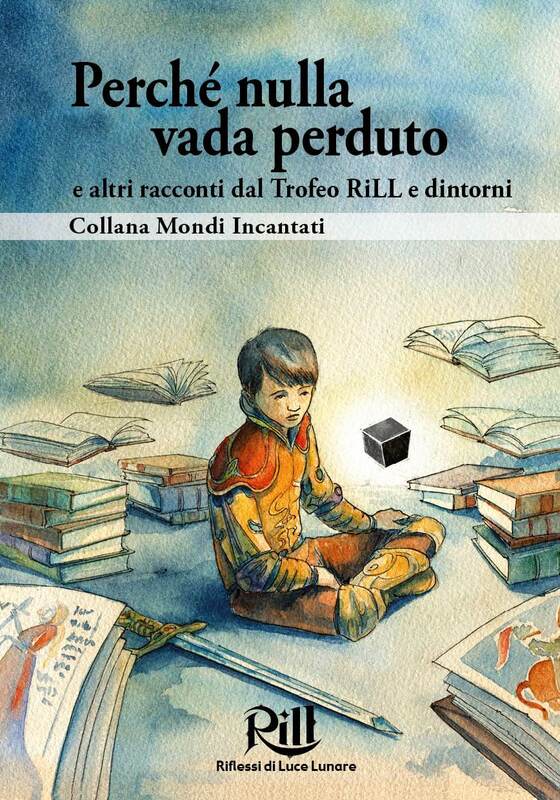 The 11th volume in the Enchanted Worlds series, featuring the Aeon Award 2010-winning story in translation to Italian, along with three further stories which won important European awards. Albedo One, issue 34, featuring the top three shortlisted stories from the Aeon Award 2006-2007. 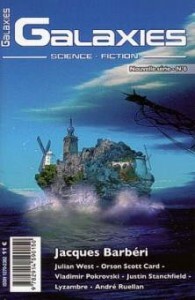 Galaxies SF (issue 20, new series), featuring the winning story of the Aeon Award 2006-2007 in translation to French.